Can I Get Evicted For Adding A Lock To My Closet? I have been having a hard time with my landlord/management (the building was sold in July-no one was notified) and someone entered my apartment (which is in an SRO hotel) and put some nasty stuff in my closet. I am 67 years old and I’ve lived here for over 20 years. Because of this incident, I want to put a lock on my closet. Is that permitted in a hotel? Before I answer your question, I want to point out that it is a violation of Rent Ordinance 37.9(k) to fail to inform tenants that a building is on the market. The ordinance also provides that tenants must be informed of their rights in a notification that the building is for sale. If real estate agents know about this they’re not letting on. I see many cases in which landlords have failed to inform the tenants of a pending sale. As you may be aware, Single Room Occupancy Hotels (SROs) are covered by the San Francisco Rent Ordinance and state law. You have the same rights as a tenant in an apartment. You need to check your lease to see if it allows you to “alter” the apartment without the consent of the landlord. If you don’t have a lease, you may install a lock on the closet without further ado. If your lease states that you can only alter the apartment with consent of the landlord, you have two choices. You can write the landlord and request written consent or you can install the lock and see what happens. 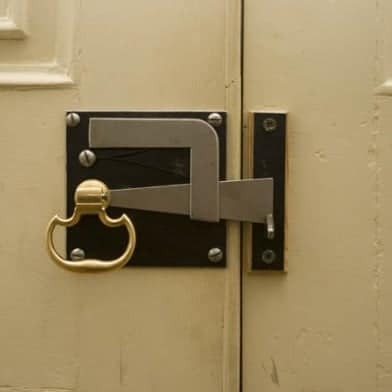 If the landlord notices the lock and wants you to remove it, he must serve you a three-day notice to cure or quit, meaning that you have three days to remove the lock before the landlord can serve you with an unlawful detainer lawsuit to evict you. You can choose to remove the lock to avoid an unawful detainer or you can choose to fight the eviction. Luckily, seniors (60+ years old) can receive free unlawful detainer representation at Legal Assistance for the Elderly. The program has a staff crackerjack housing attorneys who know how to defend evictions. Frankly, I don’t think a jury would toss you out of your home simply because you put a lock on a closet, but as I have said in several columns, fighting an eviction in court is tricky. Before you decide to defend an eviction, talk to LAE or the San Francisco Tenants Union to develop a strategy.